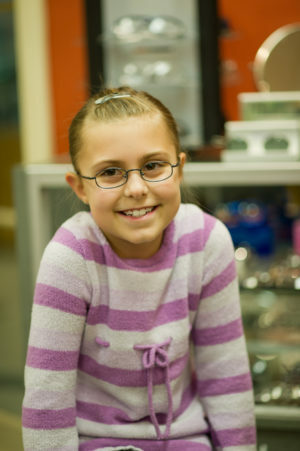 Vision conditions/disorders are the most common disabling factor in children according to the CDC. Unfortunately, undue reliance on vision screening by pediatricians or other primary care physicians may result in the late detection of amblyopia and other vision disorders. One study found that only 26 percent of children failing the American Academy of Pediatrics vision screening guidelines were referred for a professional eye examination. Early detection and prevention are critical to a child’s overall health. By failing to detect and treat these conditions, children are at risk for a lifetime of poor vision or blindness. As a result, developmental milestones might not be met, low self-esteem, anxiety, and poor academic achievement are often present and can continue into adolescence and adulthood. Counsel and educate parents/caregivers regarding their child’s visual, ocular, and related health care status, including recommendations for treatment, management, and preventive care. Roughly, 1 out of every 4 children has a vision problem. Those with vision issues often do not understand that a problem is present because they do not know their vision is abnormal. For example, Convergence Insufficiency (CI) is a common binocular vision disorder where the eyes do not work together especially for near tasks. The faraway vision may be excellent but reading is often compromised. Typical symptoms include difficulty concentrating, short attention span, fatigue or falling asleep while reading, poor comprehension, words that appear to move, float, swim, or jump on the page. Frequently, the child is misdiagnosed with behavior problems, avoidance, attention deficits and hyperactivity when the root cause is a vision related issue.